The world could use a good spring cleaning. How about a peaceful transition to democracy from dictatorship? Watch Pablo Larraín‘s ‘No‘ to see an artistic interpretation of despot ousting in in Chile two decades ago. We can spring clean our countries, our cities and our homes. Let’s start today with ourselves. Nothing spring cleans like oat bran–“but you have to drink a lot of water or else your pipes will get clogged,” warns Harriet Sugar Miller. 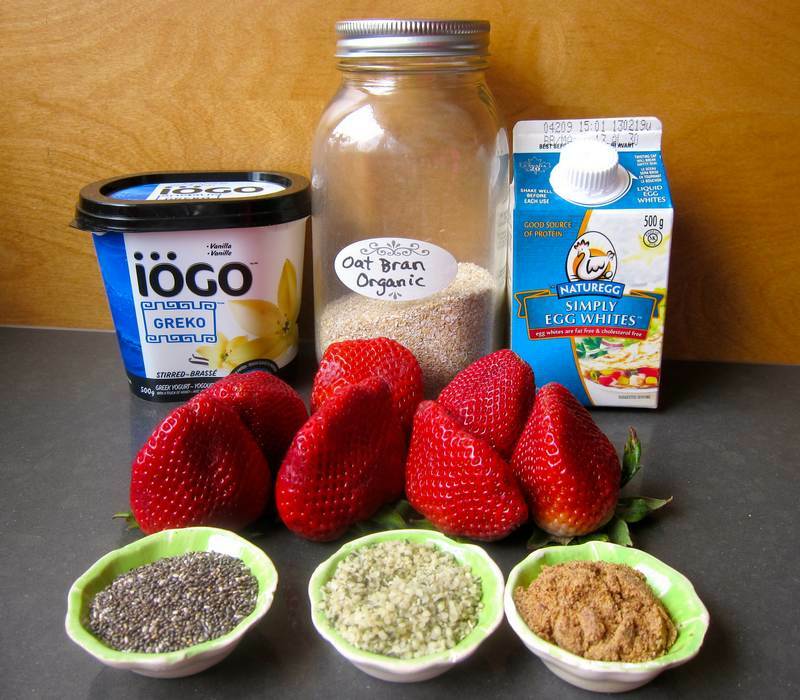 In a small bowl, combine the oat bran and the yogurt. Add in the egg whites, seeds and seasoning. Heat coconut oil on medium in a non-stick pan. Reduce heat to medium-low and cook oat brancakes 3 or 4 at a time, gently spreading and flattening the batter after you spoon it into the pan. Flip each oat brancake as the batter bubbles. Makes 12 small pancakes. Serves 4. Freezes well. The original recipe for Oat Brancakes is the brainchild of Pierre Dukan, who wrote the Dukan Diet, just 10 years ago. 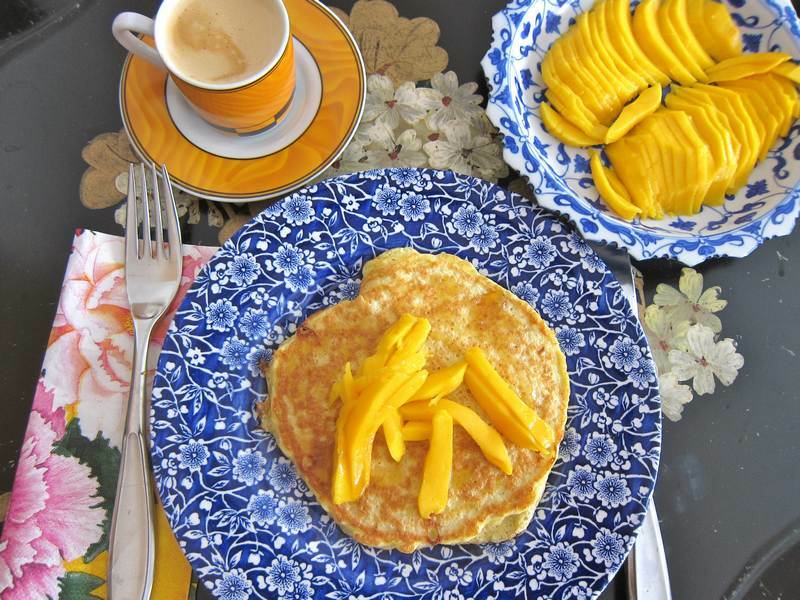 I’m not for or against any diets, but thought that this homemade, healthy ingredient, tasty pancake would make a nice change from all my Chia Porridge, Muesli Breakfasts. I may be for The Fast Diet. Am liking the 5:2 ratio. Any comments? Do you know 38 ways to stick to exercise? I’m liking #18. Thanks to my good friend Jojo for sending in the Oat Brancake recipe. Anybody out there have a special favourite to share? And a very merry spring cleaning to you! Delicious! Served them with blueberries and maple syrup. Thank you for this. Thanks Peggy Ann! I’m loving your art work on FB!